Pilates Place makes Pilates accessible for everyone. Up to 8 people in a class. Classes are from Level 1 for beginners to Level 3 for more advanced students. All Level classes are for any level student. 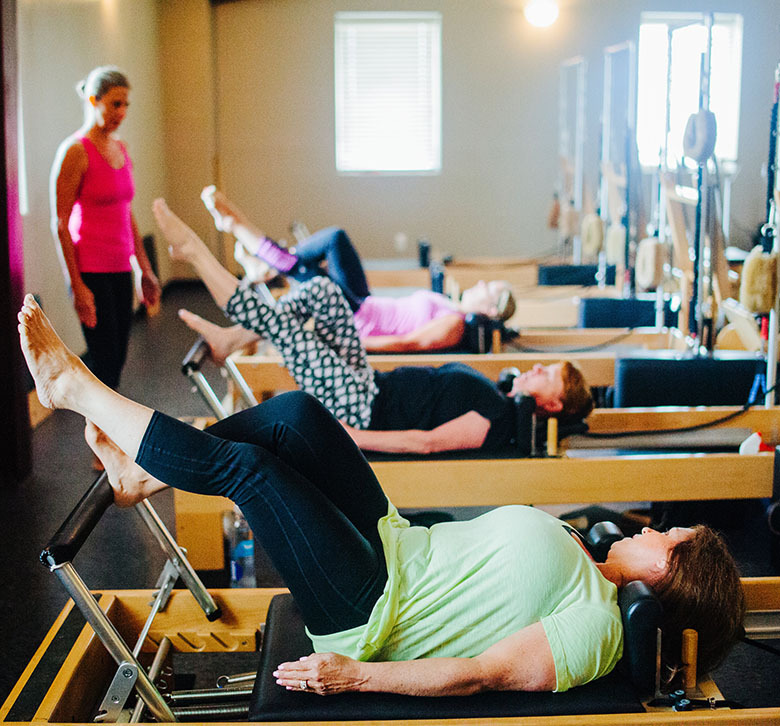 During the class, you will get a mixture of the Pilates Reformer, Tower, and Chair with a mixed routine of both Classical and Progessive Pilates exercises. Each class is 50-55 minutes. For those needing or wanting individual training with personalized attention, Private & Semi Private Classes are specially tailored to the client regardless of level. These classes are for beginners to advance. Each class is 50-55 minutes. Burn at the Barre™ is a superior program due to its creativity, safety and it’s limitless versatility. The latest in sculpting and toning at the Ballet Barre. These routines have been fine tuned to deliver the best results based on the best the Barre has to offer without the knee or low back issues. The TRX Suspension Trainer is the original, best-in-class workout system that leverages gravity and your bodyweight to perform hundreds of exercises. Because the TRX Suspension Trainer requires you to engage your core with every exercise, you get a total-body workout every time you train.